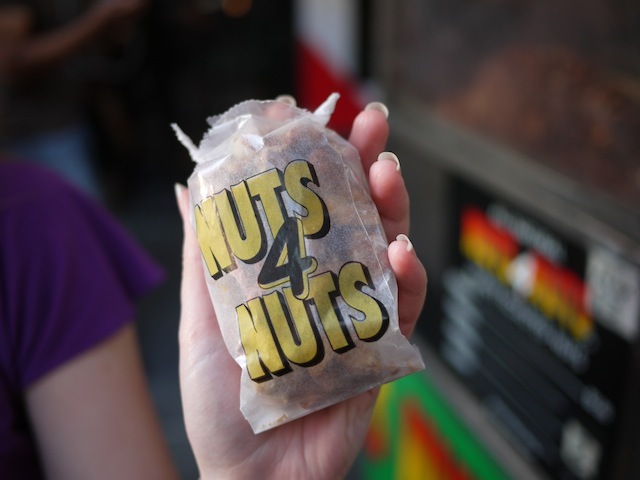 A New York City legend, and a New York original, NUTS 4 NUTS are street food stalls around Manhattan that sell, you guessed it, all natural honey-roasted nuts! These portable carts are found on multiple corners around the city, and you can smell whiffs of their intoxicating aromas from blocks away. This cart was right in the middle of all the hustle and bustle of Times Square. 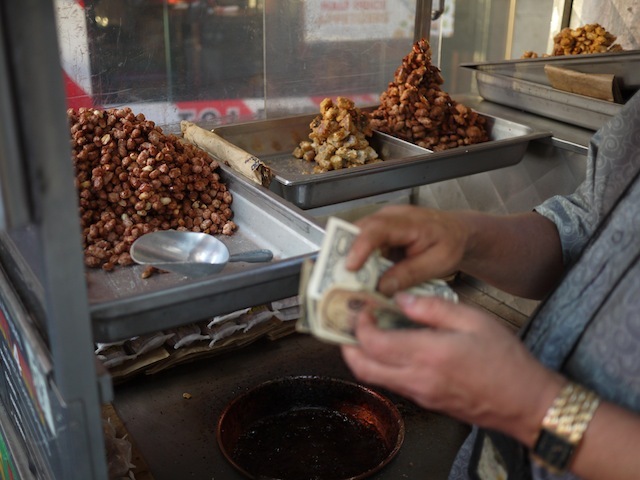 Served in cute little four ounce bags – $2.00 for cashew, almond, or peanuts/ $3.00 for a nut combo/ or 2 bags for $5.00. We opted for a bag of mixed nuts. 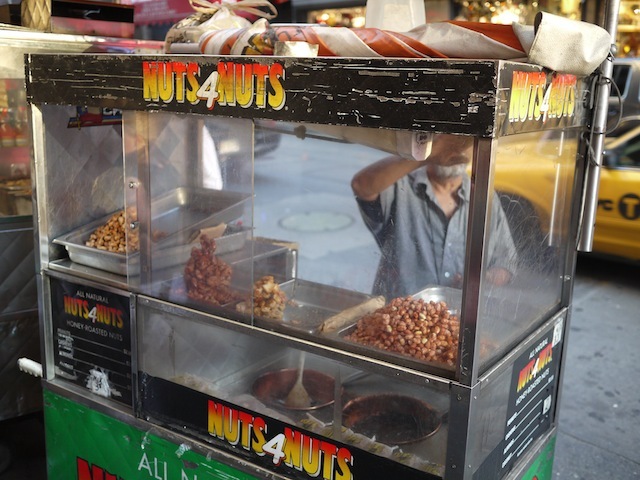 Deliciously sweet and slightly salty, freshly roasted hot nuts (peanuts, cashews, almonds, and even coconut) in your mouth – what more could you want! 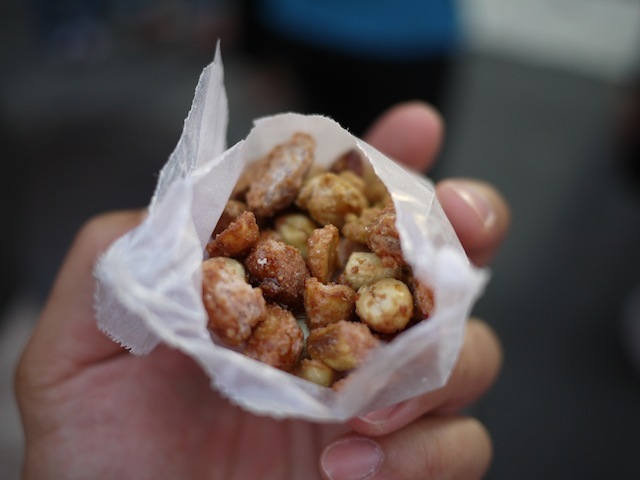 Even if you’re generally not a fan of nuts, you won’t be able to resist these crunchy, candy-coated little treats.